Being frank with yourself, no one really needs to won a motorcycle, it is all about wanting to have a motorcycle, and for some people the desire is really strong. And the problem with strong desires is that when it comes to purchasing you can get too impulsive and make a purchase you don’t really need. To avoid such problem you should simply wait 24 hours to that your emotions subside and you are able to make a vise and practical decision. This period should come when you already know what you are looking for, as in such case you will want to be informed of everything about the motorcycle before you start negotiating on a price. 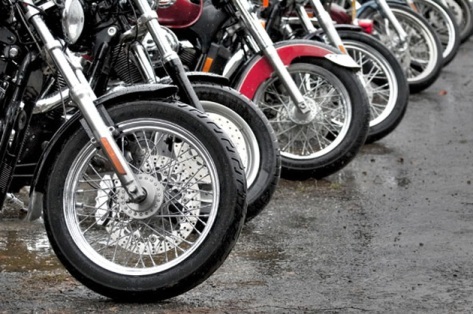 The following tips will help you make your best in comparing and buying a motorcycle. Think what you are planning to do with your motorcycle. In case you are into scenic trips and driving on the highways, you need to look for a touring or cruiser with a large engine, as you will need a high power of speed for highway driving. In case you are a thrill seeker, a sport motorbike would be better for you. The nimble and light, this one will be an easy transport to handle. In case you are interested in hill jumping and off-road racing, focus on finding a good dirt-bike. Decide if you are ready to go with a used bike, or you want a brand-new one. The type of a bike you are looking for should be a determinative point in this situation. A used dirt bike can be literally purchased for couple dollars, while used cruiser is still going to cost you a little. A new cruiser, though, will be a great investment for you. You need to have an immovable price point though, that you will not cross over, not even by a buck. Determine the size and style of an engine you want to have. V-Twin or Straight line make much difference in terms of handling and speed, and it determines the brand of a motorcycle you will have to get. Use different sources to find out the information about pricing for the specific brand, model and the size of an engine. You should have about one to three specific bikes to choose from – this will help you choose the best one for you. In case you have more than one bike in your price range, you will be able to weed out any above that as well as give you an estimate on what you can expect to pay. At least you have a benchmark at this point. Decide on new or used if both are within your price range. To get a new one you should go to a dealer, while for a used motorcycle you will have much more options. You are most likely to get the best price for a used motorbike from the private individual, but getting one from an official dealer would give you a peace of mind. A dealer would provide you with a warranty that will come in handy in case there are any mechanical issues to occur later, or in case you are buying a lemon without noticing it at once. A private seller would be much cheaper, but you will not have a chance to return it in case something is wrong. It is obvious that you should sit on the bike before you purchase it, and see if your feet are planted fully flat on the ground when the bike is upright, as you will have to stay at the stoplight. In case your feet dangle, you just cannot get the bike, and that is all. If you are not very good with mechanics, get a bike with straight shaft final drive instead of chain one, as it needs less maintenance and intervention. In case you’ve got a chain one, find a good bike mechanic you can trust.